6 In 1 Cookie or Fondant Cutter - All In 1 Cutter! Make your favorite cookies into 6 fun shapes for special occasions like parties, birthdays and holidays! 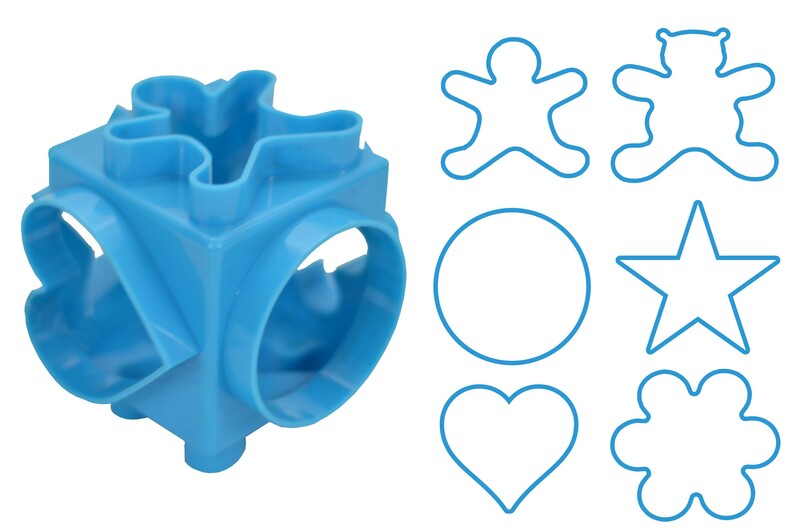 This 6 in 1 Cookie Cutter provides 6 great shapes in just one cutter! Works great for cookies or Fondant. Great for special occasions like parties, birthdays and holidays! This product is dishwasher safe for easy cleanup! Included shapes are: gingerbread man, bear, circle, star, heart and flower. Check out my other homeware items! Overall Dimensions: 4" x 4" x 4"